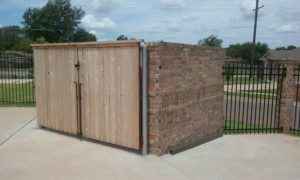 A/M Fence your Oklahoma City Fence Contractor has become the dumpster enclosure specialist. 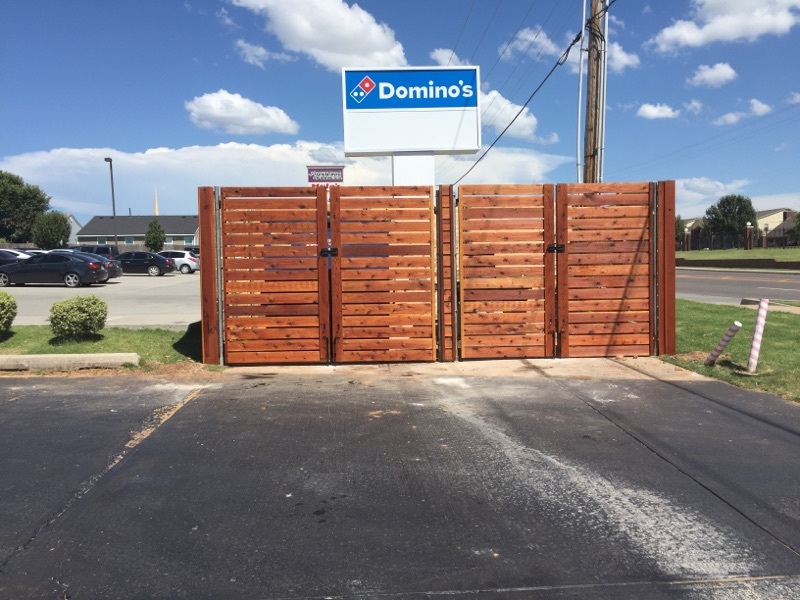 We offer several varieties of dumpster enclosures which include the options of brick, wood, or chain-link fence. We have 5-year guarantee on all of our work. We also make sure that your dumpster enclosures are compliant for the municipality in which the dumpster enclosure is located. We also can install bollards to protect the dumpster enclosure from automobile damage. All of our dumpster enclosure doors are easy to operate and can be secured in a closed or open position. Improves Aesthetic appearance of the area. Prevents trash from blowing out of dumpster. A/M Fence looks forward to meeting your dumpster enclosure needs. Our staff is ready to assist all you need to do is call us at (405) 476-5391. Please look at some of the dumpster enclosures that we have recently completed.